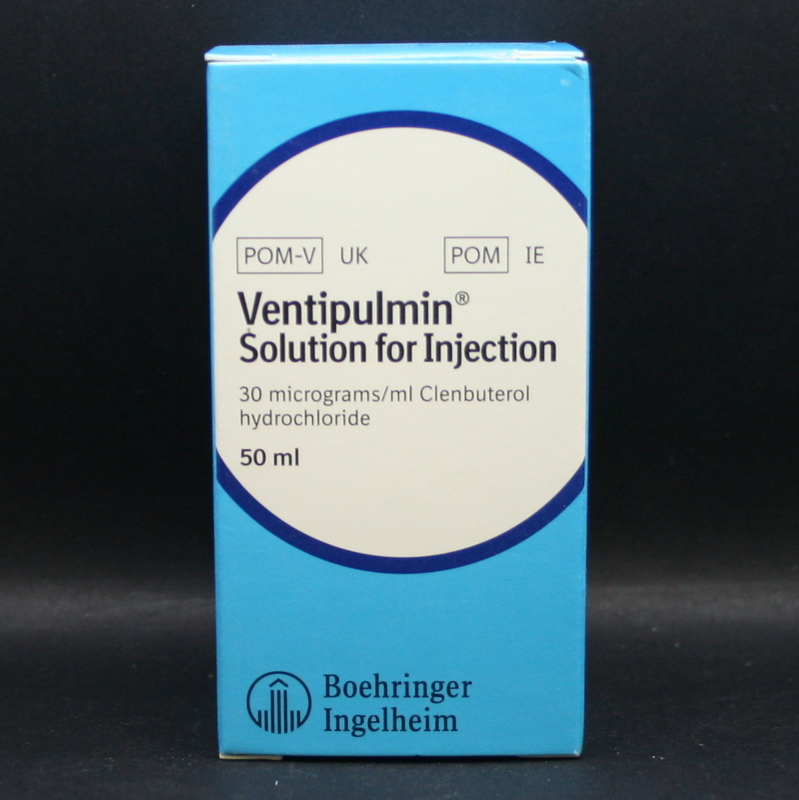 Ventipulmin Solution for Injection is used to treat respiratory conditions; it contains Clenbuterol. 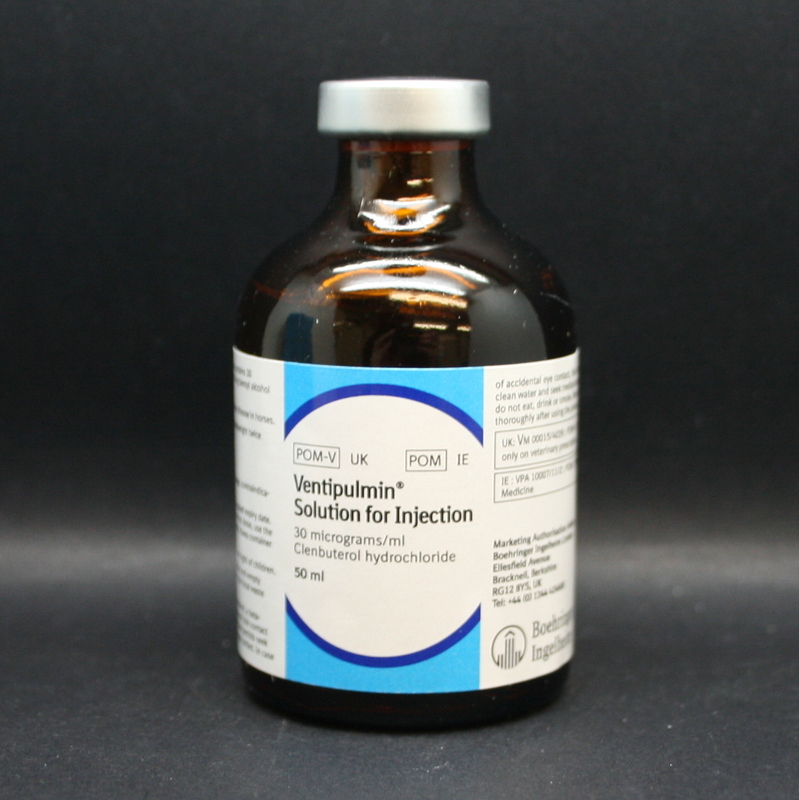 Ventipulmin works by widening (dilating) the horse's airways, helping to clear mucus from them. 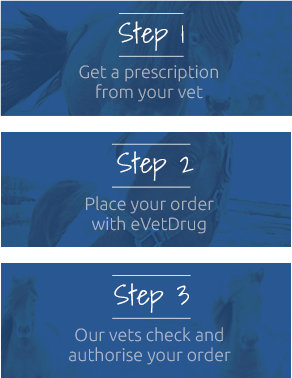 Ventipulmin can be useful in treating allergic respiratory disease (RAO, COPD), as well as acute, sub-acute & chronic respiratory infections, such as bronchitis, associated with viruses like equine influenza. If bacteria are also present, antibiotics can be used alongside Ventipulmin. 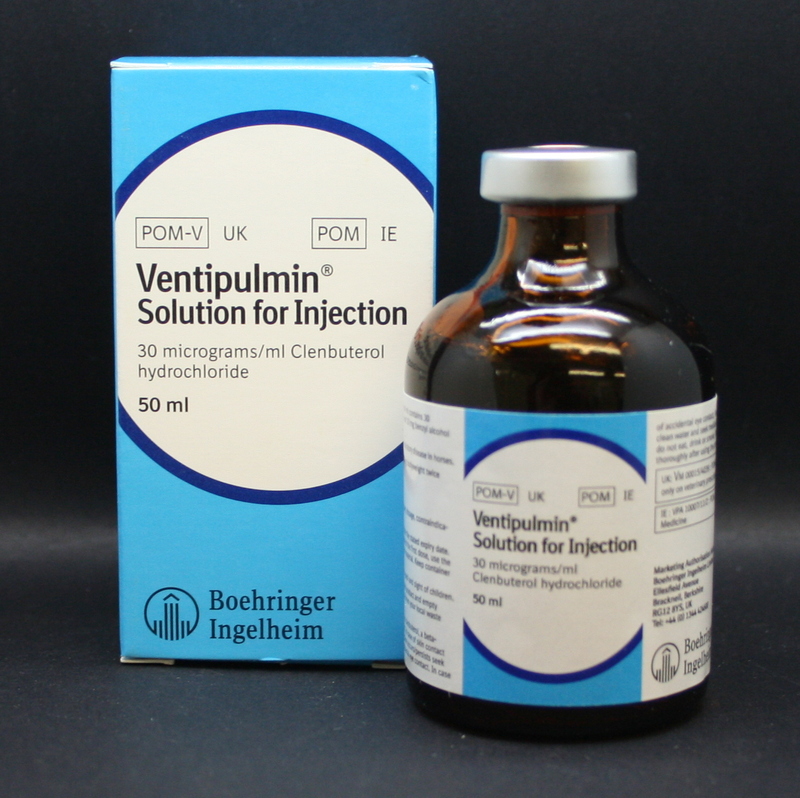 Ventipulmin is given twice daily by slow intravenous injection (under veterinary supervision). Warning & Contraindications- Do not use in horses with a known hypersensitivity to Clenbuterol or cardiac disease. Avoid contact with skin when administering this product; wash hands thoroughly. Pregnancy & Lactation- If used during pregnancy, its use should be stopped close to the due date, as it can stop uterine contractions occuring.